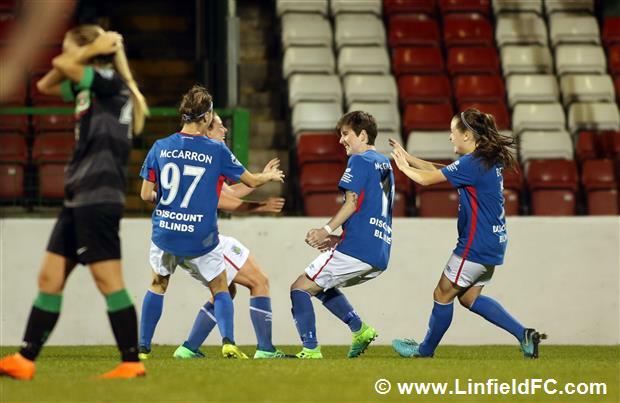 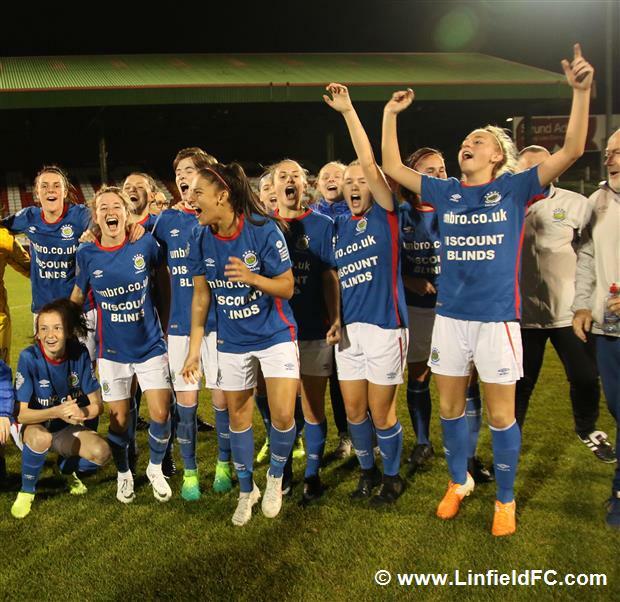 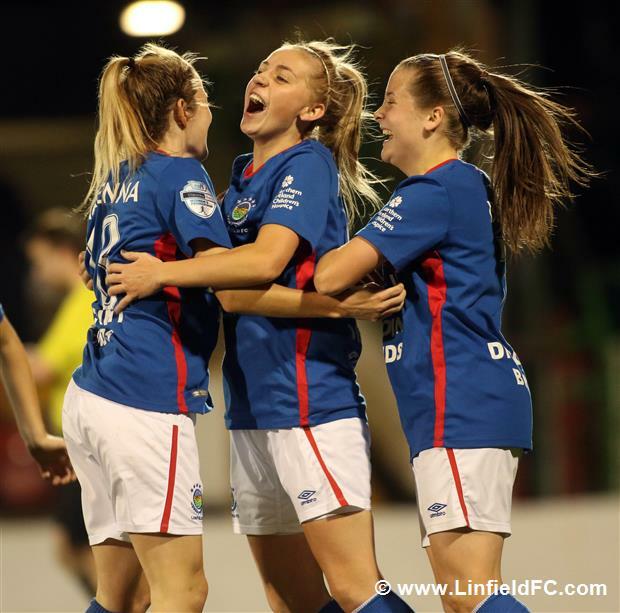 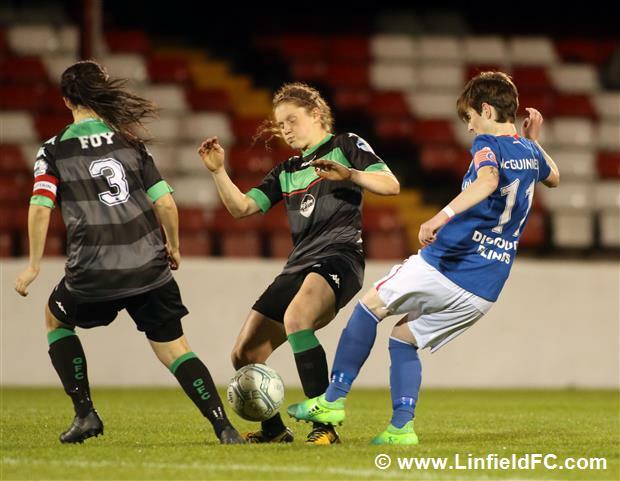 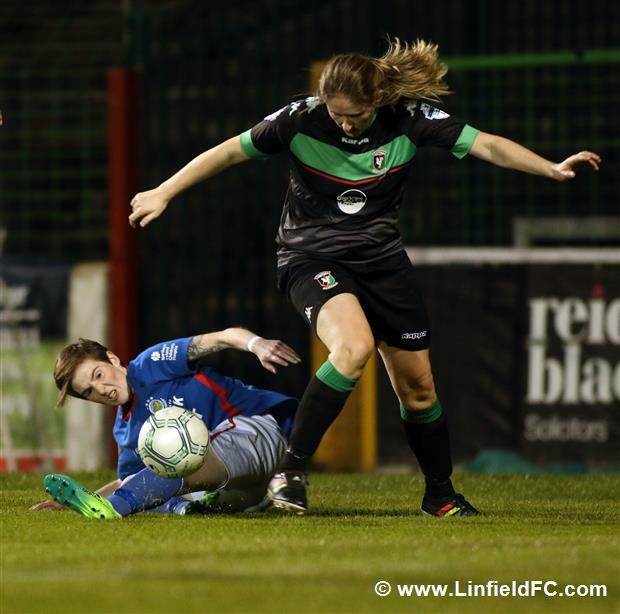 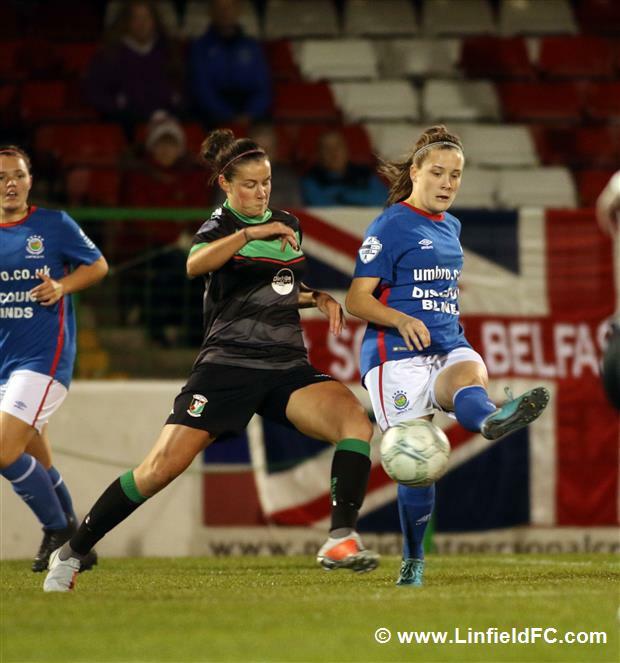 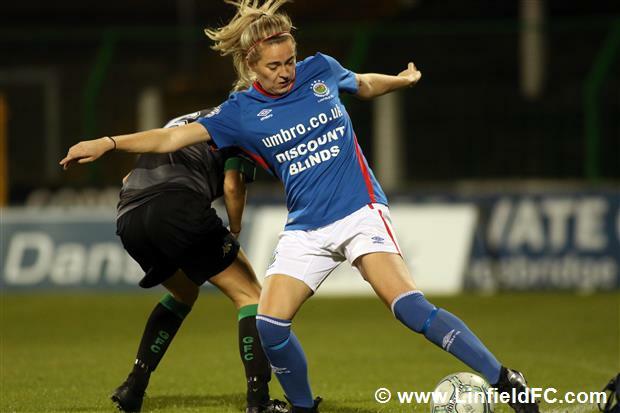 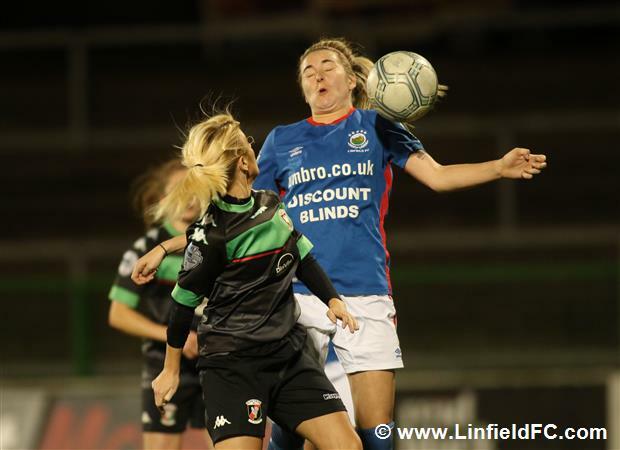 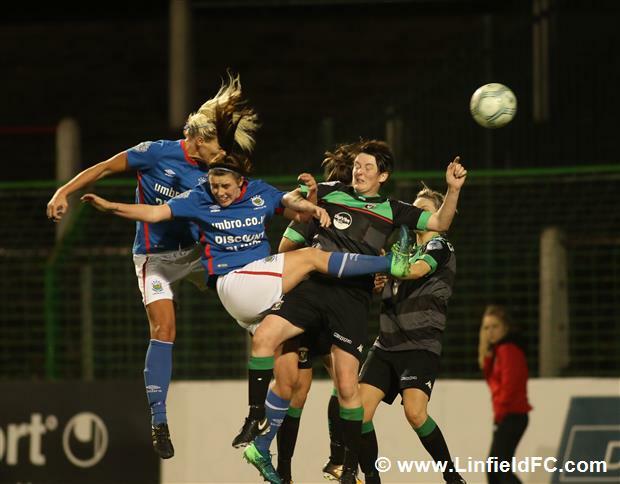 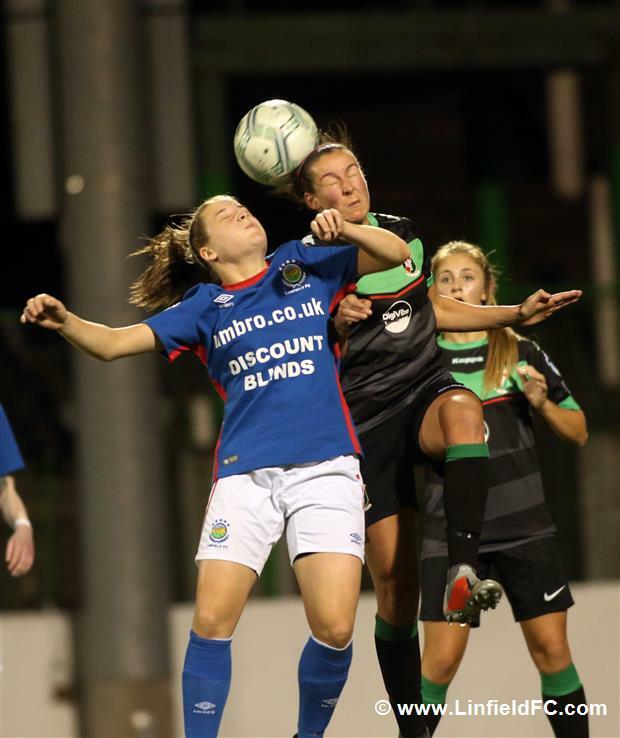 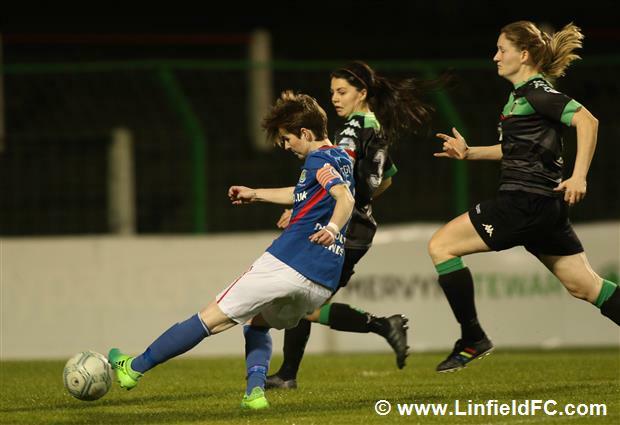 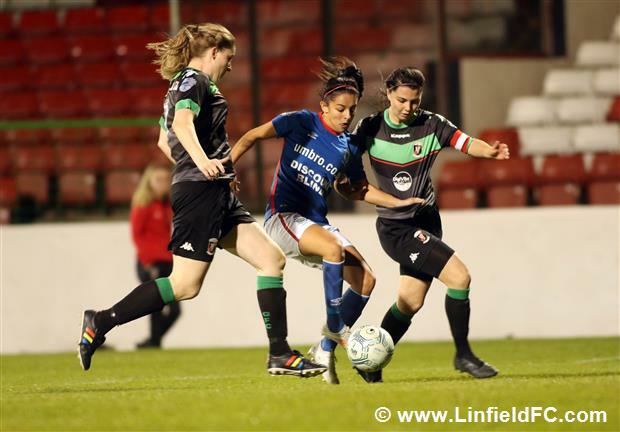 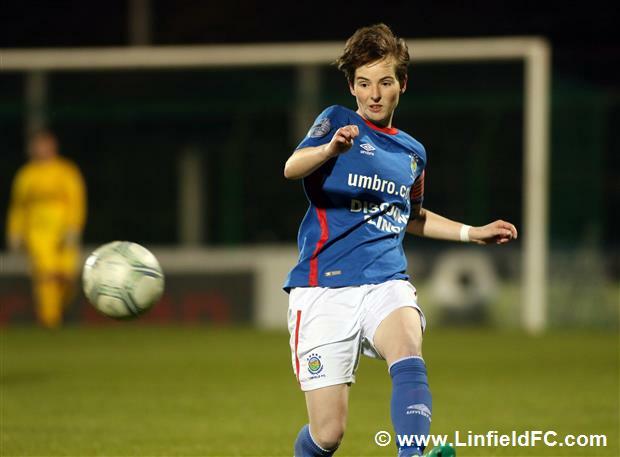 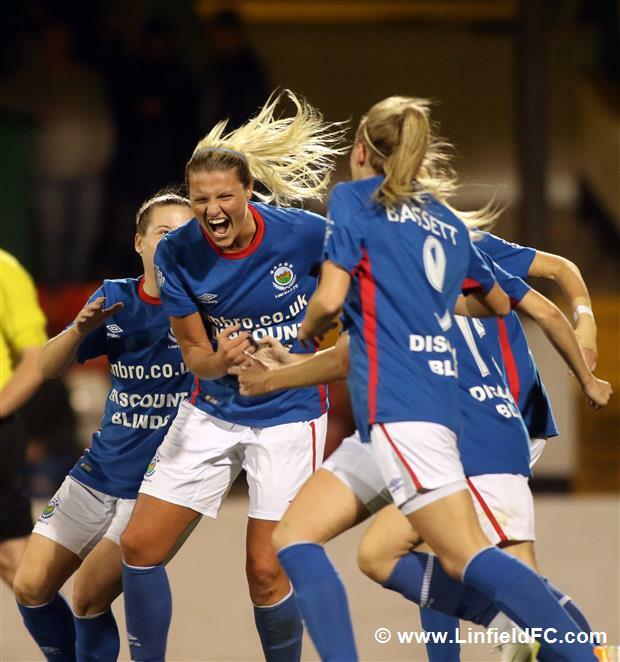 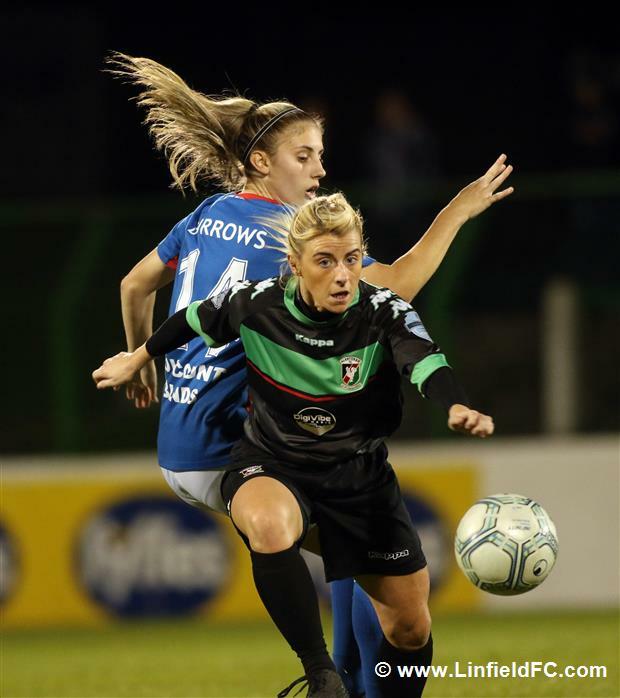 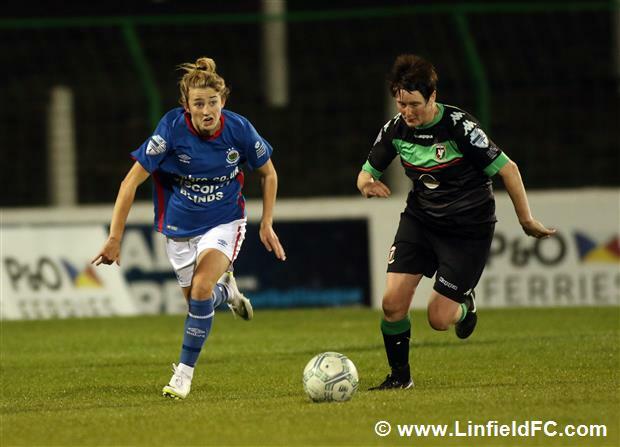 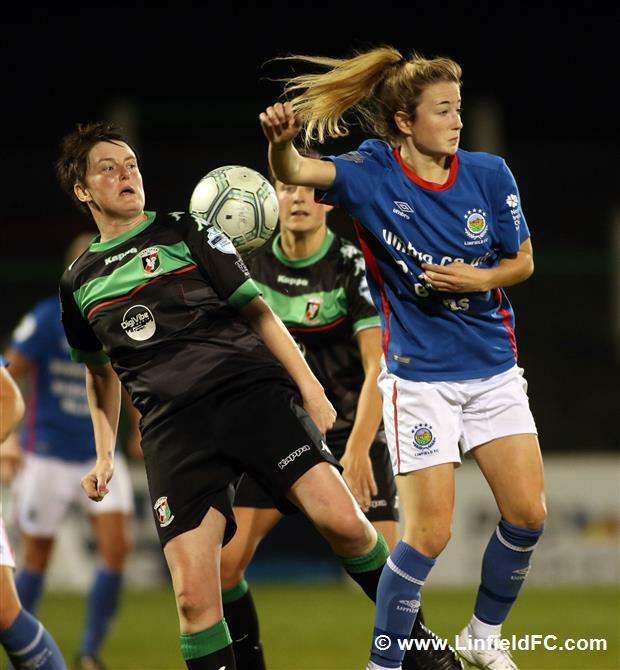 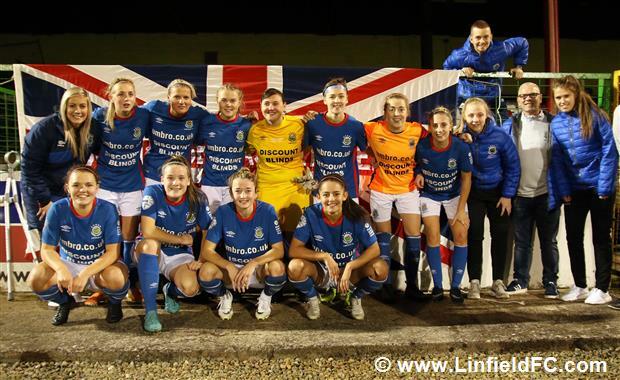 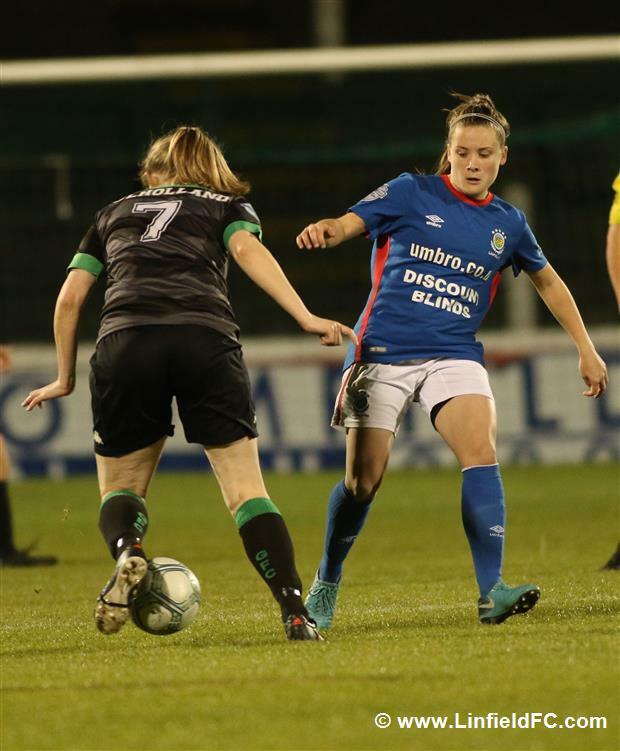 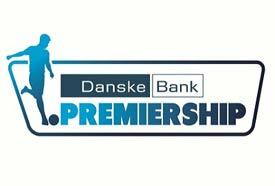 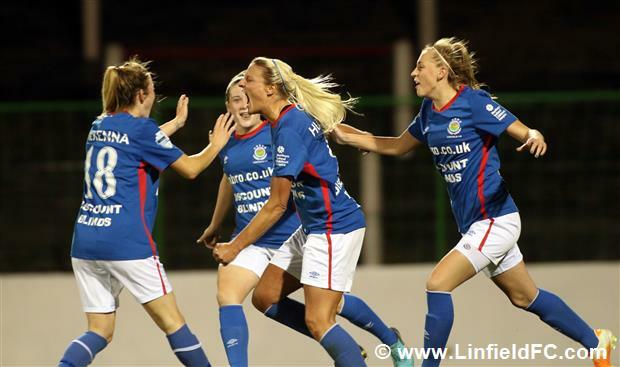 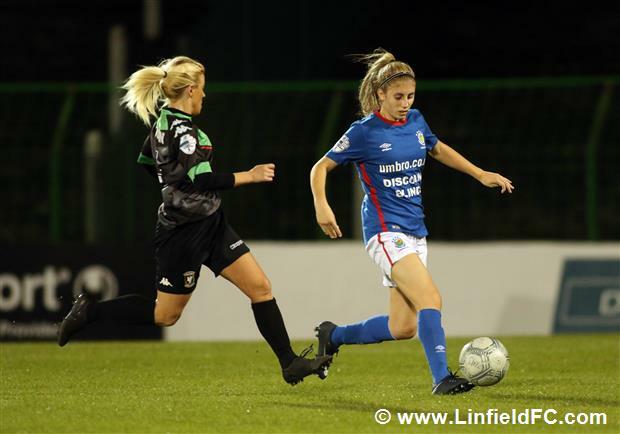 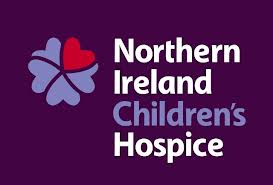 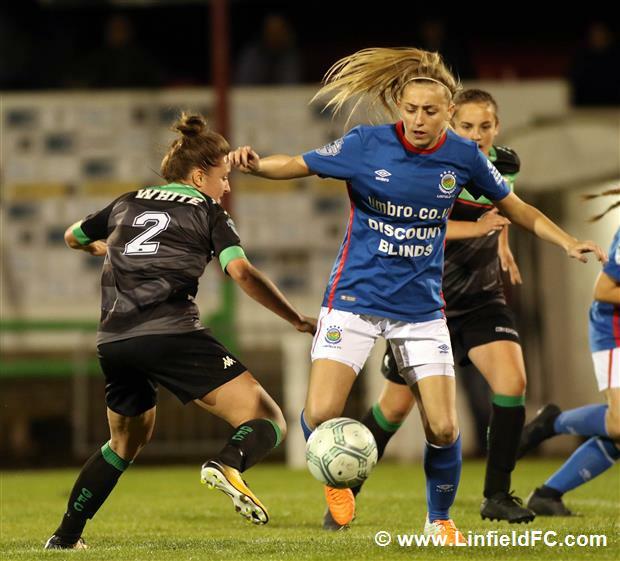 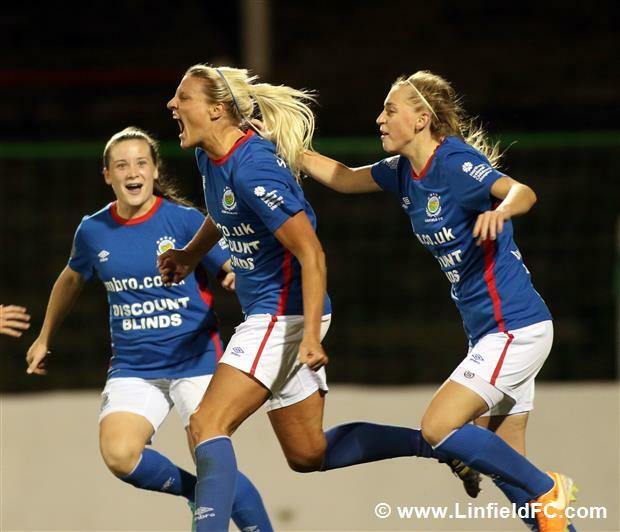 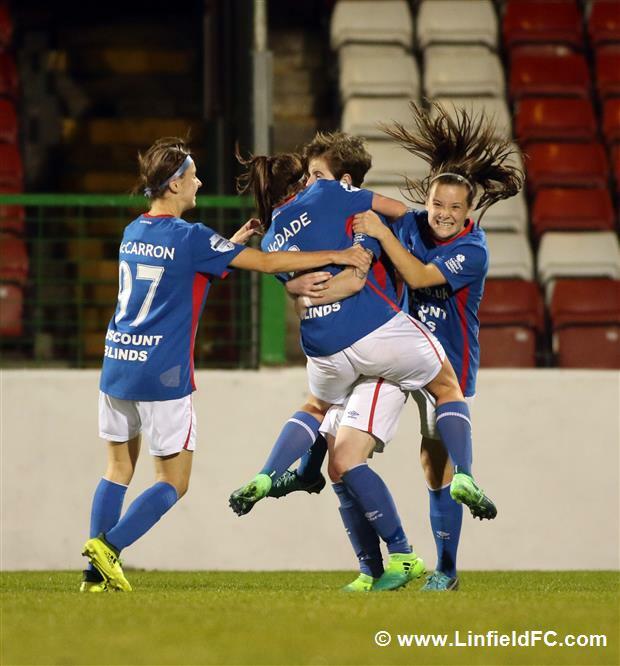 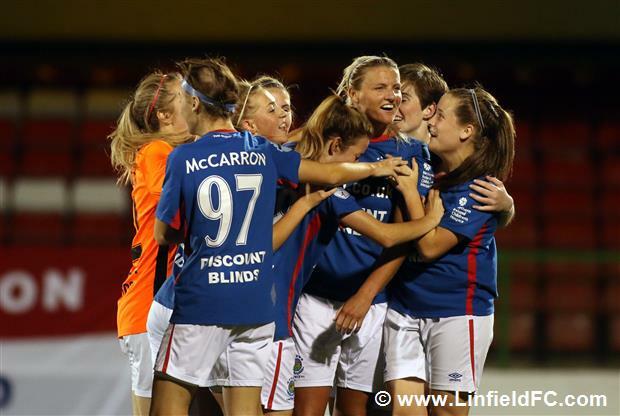 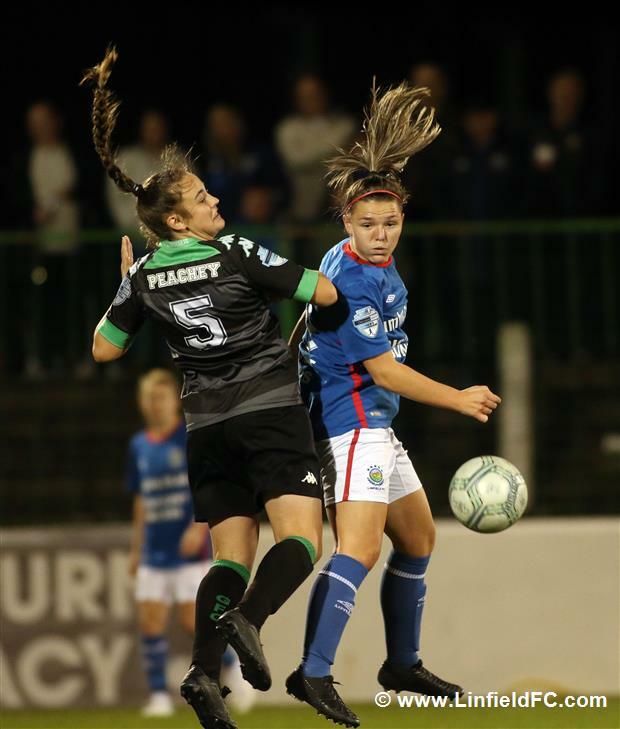 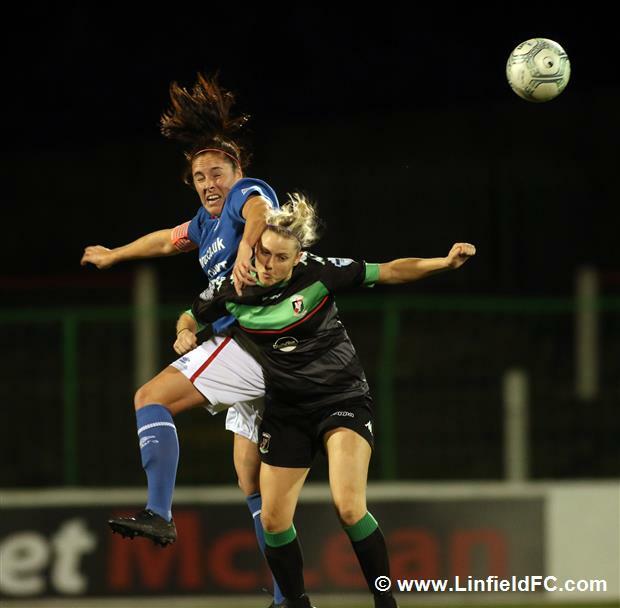 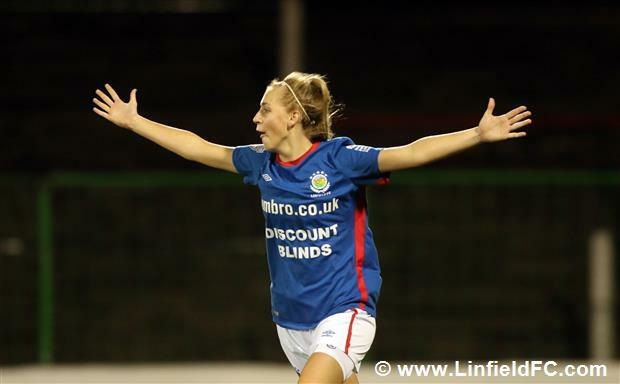 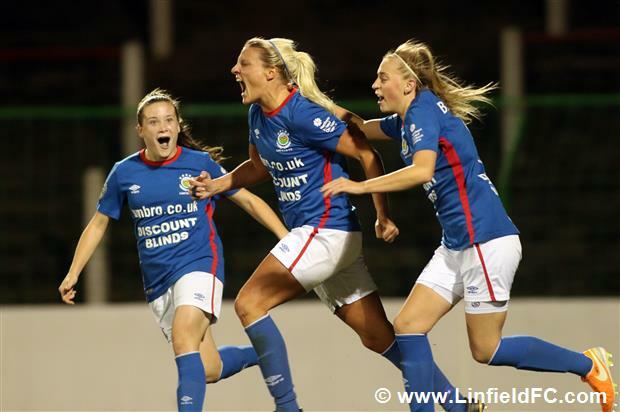 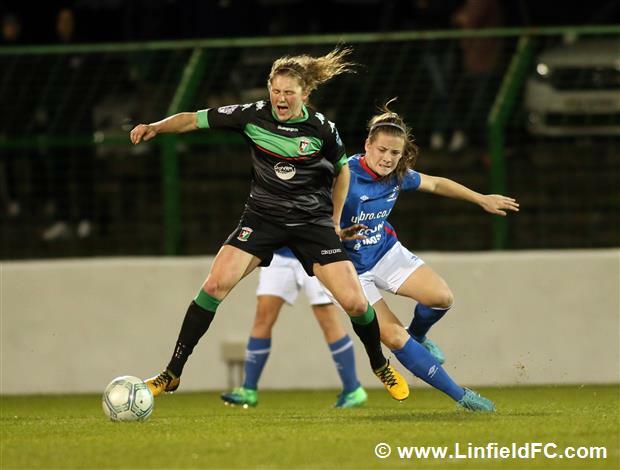 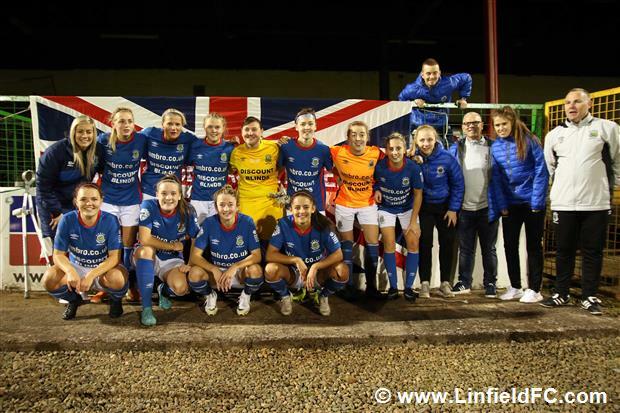 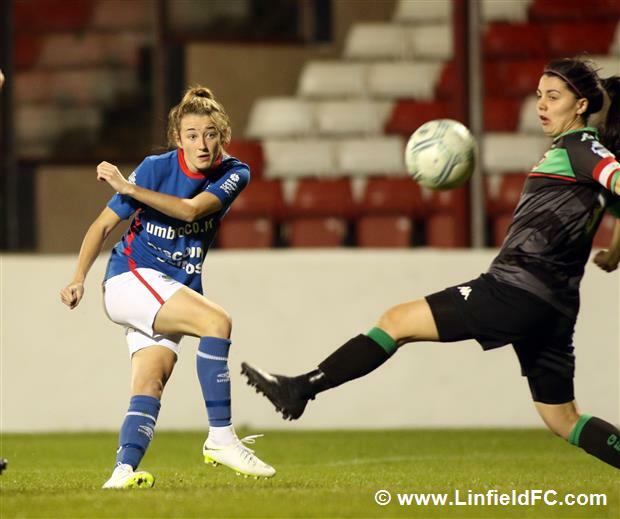 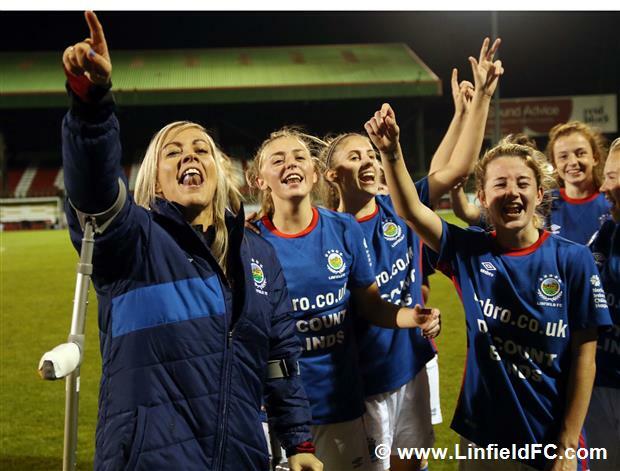 Linfield’s Colin McMaster was at the Oval last night to capture the drama of an incredible night as Linfield, 3-0 down at half time, stormed back to win 5-3 to seal a third successive Premier League crown. 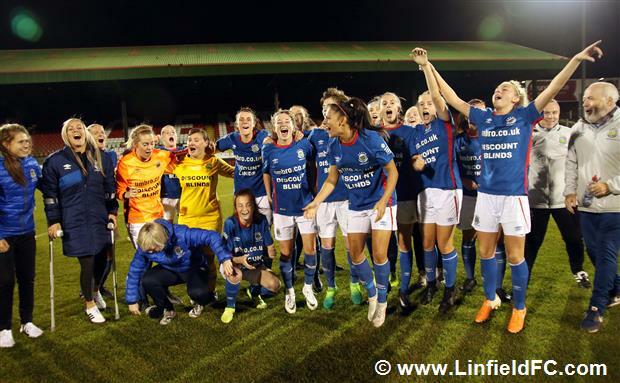 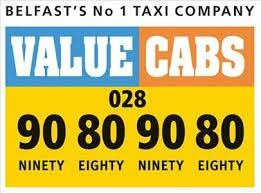 Report to follow but for now a number of images from a night and a comeback that will live long in the memory. 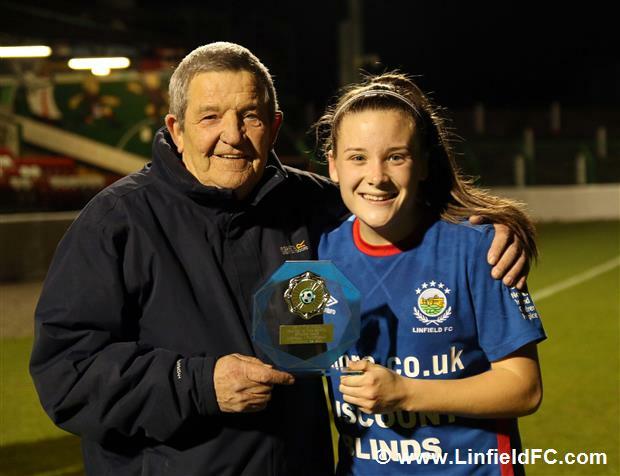 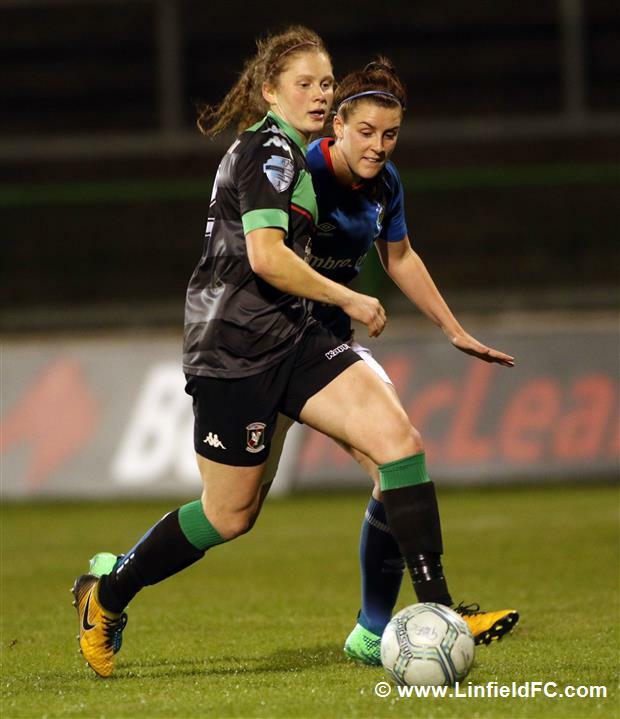 Megan Bell’s granda Norman McAuley presents her with the Linfield Player of the Match award from Saturday’s Irish Cup Final after last night’s league game at the Oval.